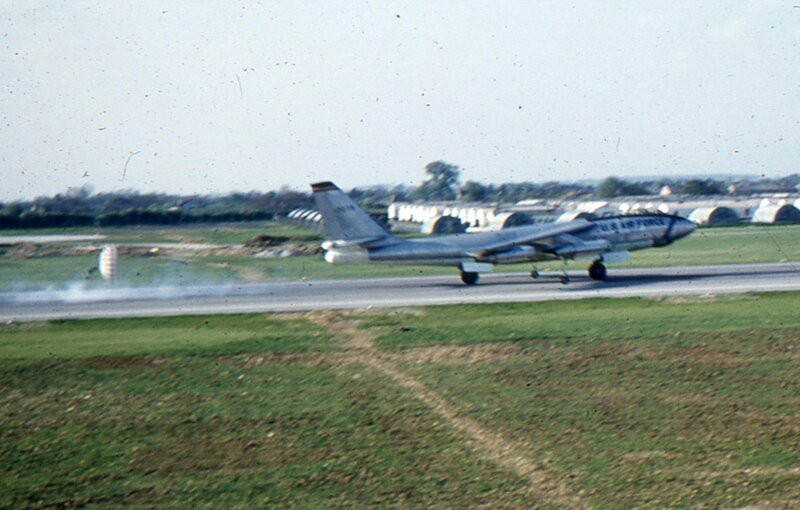 Photos from 1957 at RAF Station Brize Norton, England when the 380th Bomb Wing was on a 90 day TDY there. This photo was sent in by Bob Silver, 321st BW McCoy AFB Fl. EB-47E 51-2135 Parked at Pima Air Museum. 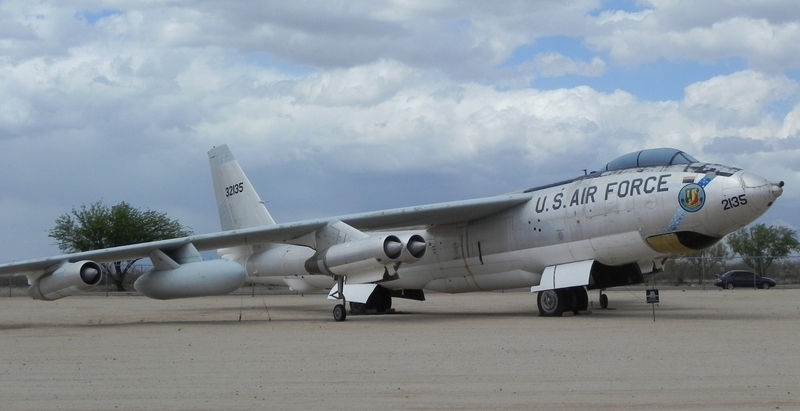 This EB-47E was launched to MASDC in Tucson by Jerry Hayman and Ralph Beadle. 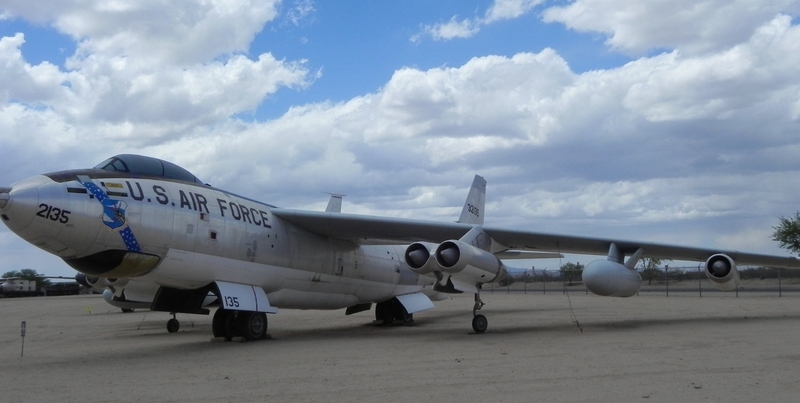 They sent 2135 to Tucson in December 1964, and it is the only B-47 still there. 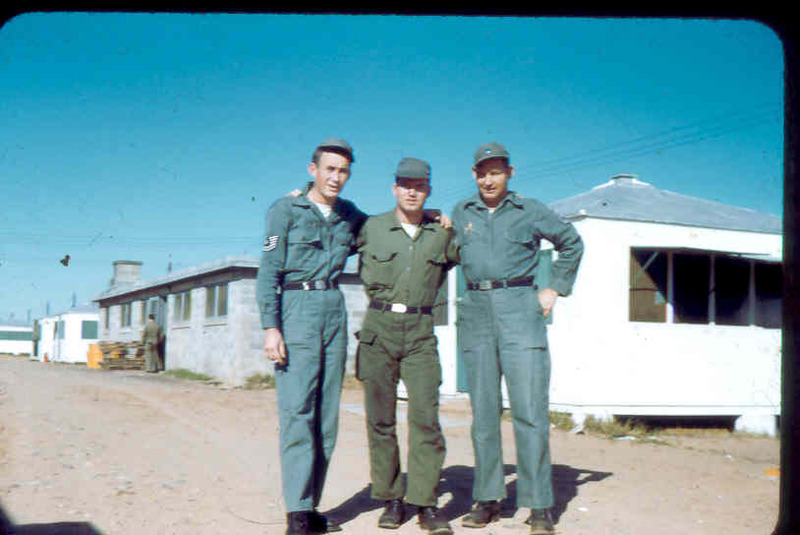 This photo was taken near the flight line at Zaragoza during reflex, February 1961. According to their Wing Commander, this crew flew the first perfect navigator flight check in the history of SAC. 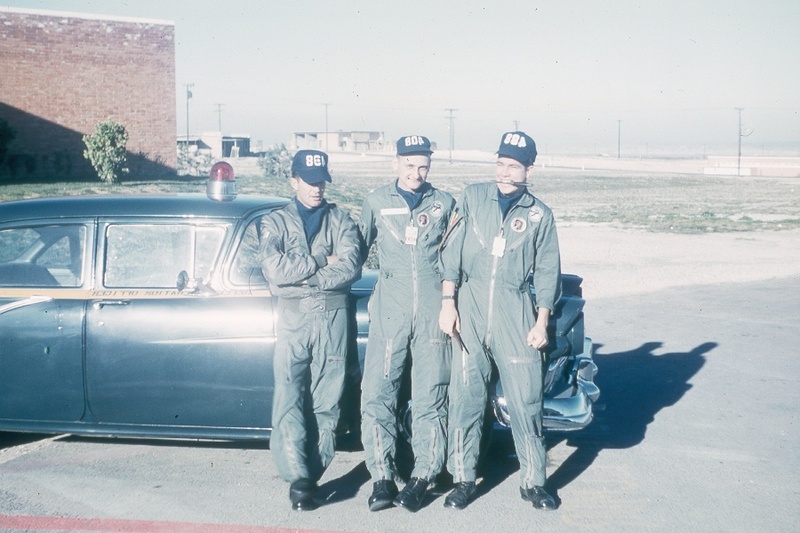 L to R, Jack Motes AC, Lou Malucci Nav, and Jim Cooper C/P. My father was Tommy Thompson & he was a pilot in the 321st back in the mid-late 50s. Thanks for posting such great memories! I was in the 801st CDS at Lockbourne from Apr of 1963 to Apr of 1965…I spent almost the entire 2 years at Brize Norton and then Upper Heyford..As a guard looking at the pictures it brings back such memories..I retired in 1987 as Superintendent of Comm Operations at Eilson AFB…Tks for the memories!! I had the privilege of being assigned to the maintenance sq. in 1951 thru 1954 at MacDill AFB, Fla. Enjoyed my air force career, what a beautiful aircraft. I am a civilian, born in 1961. Seeing pics like these make me proud to be an American, and remind me how fortunate I am to be from the USA. Thanks to all the men and women who dedicated parts of their lives to being stationed at bases around the world for the sole purpose of keeping us and the free world safe and living free! May God bless you all! My daddy lost his life in one of these B47-E strato jets in 1961. I not yet two years old when he was killed. Thank you for your recognition of those who dedicated their lives to our great country. I hope this email gets to you. I just read that you were/are looking for info about your father’s accident/etc. I am a former SAC B47 CC and may have served with your father. If you are interested in the limited amount of info I have for you, please call me @ hm ph 918 787 7921, I live in Grove, OK. I am very interested talking with you. 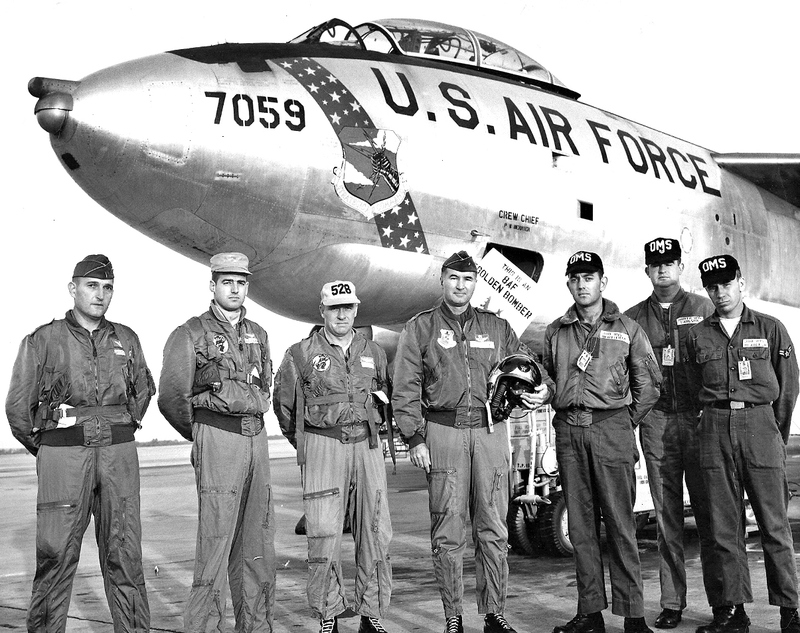 Please know the B47 CC’s were proud to serve with your Dad. After my years (1960-64) in B47’s & SAC, I continued my career in aviation, education, and a career in the US Navy (Aeronautical Engineering) through three Wars, that my SAC service prepared me for. I hope this email finds you at peace through these Holidays of 2018. While stationed at Lockbourne AFB from 1960 to 1963, as a camera repairman, I serviced the O-15 radar camera on the aircraft pictured above with the tail number 2135.. You can not believe the memories that flooded my mind when I, once again saw this marvelous aircraft. 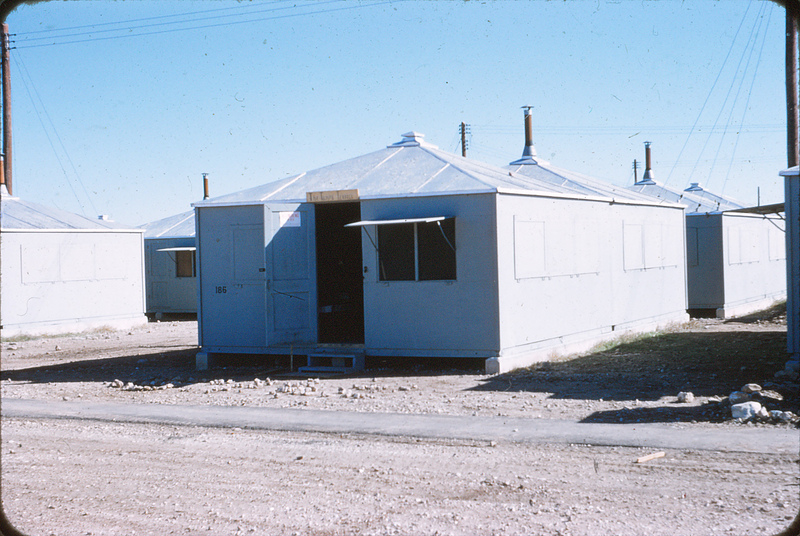 I was also stationed at Lockbourne from 61 till the B-47s phased out. 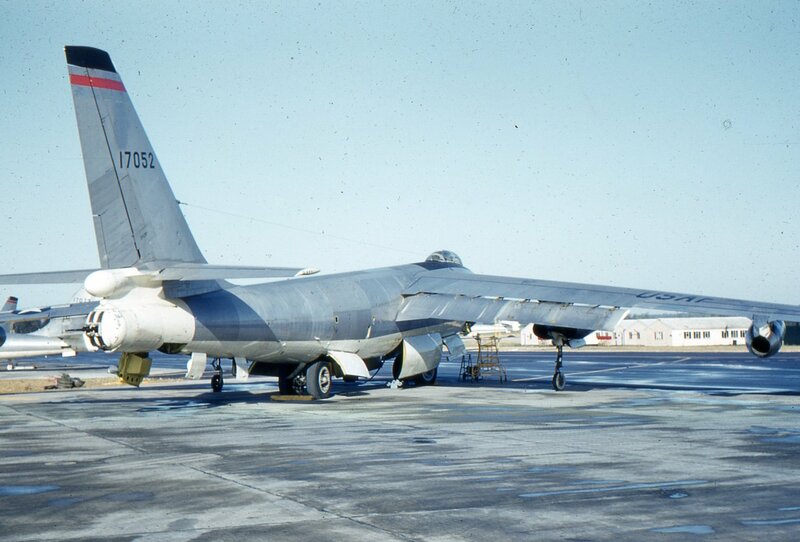 I was a nav in the 512th Bomb Sq. I still have in my checklist the radar photos for the airborne radar approach for both runways. They don’t look like that today. I’m looking for my former copilot Stuart Lustfield and former A/C Jim Platt. Looking for any info on my father-in-law, TSGT Edgar Stoelting who was in the 343rd in early to mid 1950s. His career during that time is a little unclear but I think he transitioned on crews from RB-29, RB-50 and RB-47. Thanks. I have a bunch of photos taken by Life Magizine during their coverage of the crew in Spain. These were Life”s pic’s they gave my dad for the 12/23/57 edition. A bunch of pilots I do not have names of, but some folks may recognize dads or granddads in the pics if there is any interest. 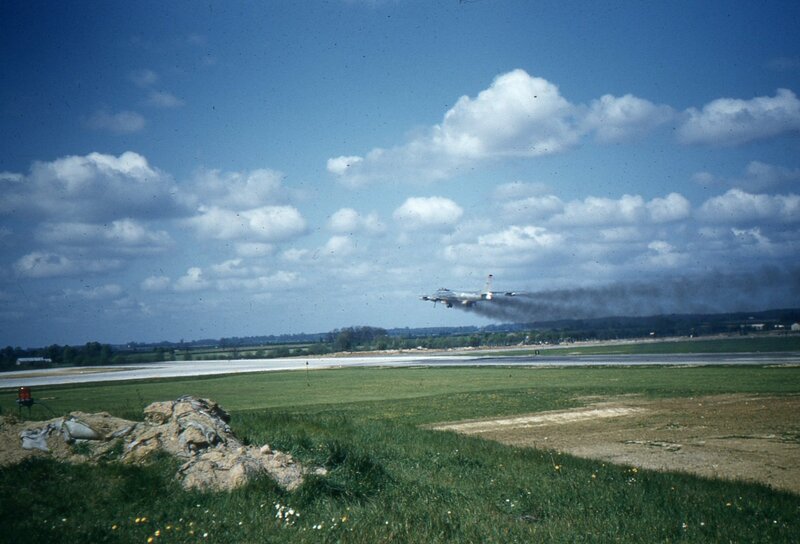 I was stationed at RAF Lakenheath from 1954-57 as an armorer on B-47’s, Loved the Country and people. Many good memories. Married a beautiful Lady from Glasgow, Scotland. 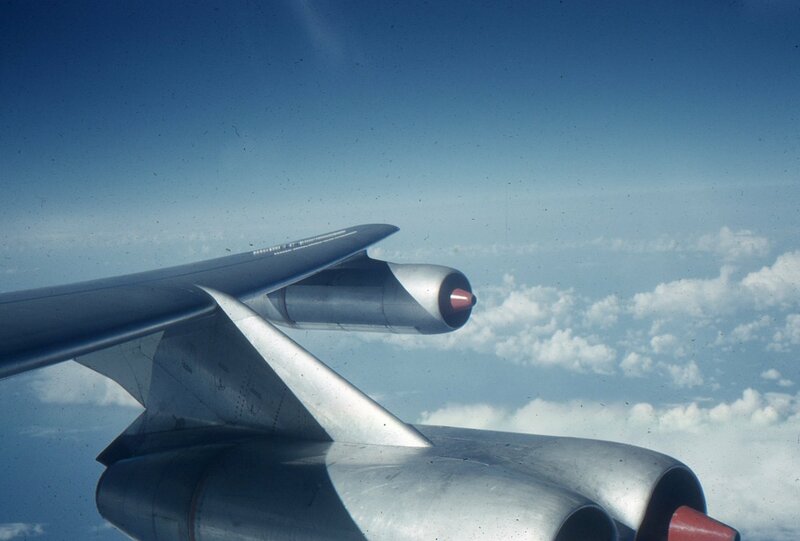 Has anyone seen the picture of a B47 in flight, taken from another A/C from above with Stone Mountain(Ga)? The photo a/c was so close that the pilot and copilot were looking up at the photo plane. The pic had been enlarged to about 3 foot by 5 foot and was on display at Doug McCurdy Cheverolet(closed) in the parts dept. I am looking for someone who knows Bryden Dahlke. He was a Maintenance inspector at Pease AFB in the 60’s. He was in the 509th Maintenance squadron. 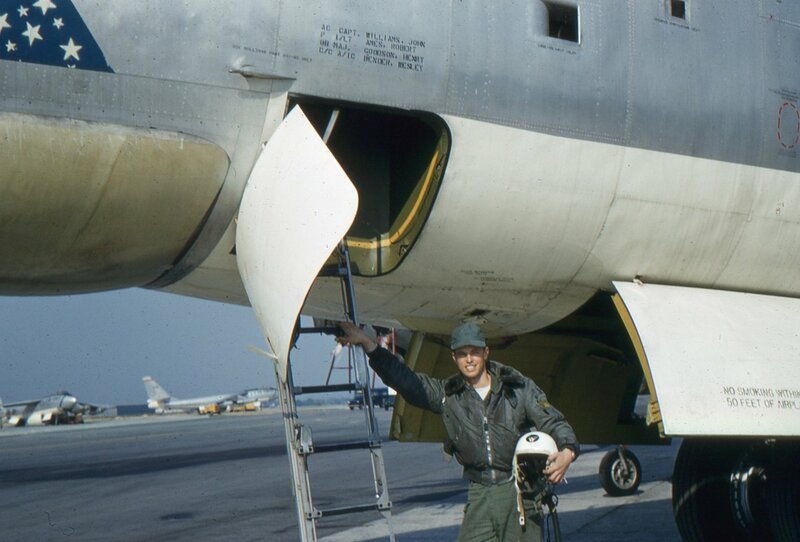 He was responsible for having over 100 B-47 flights without any breakdowns. My name is Rudy Kloeble and I am his step son. My dad, Glenn H. Jones was head of the Boeing Photo Unit, 1938 to 1978. I’ve inherited his photo archives. 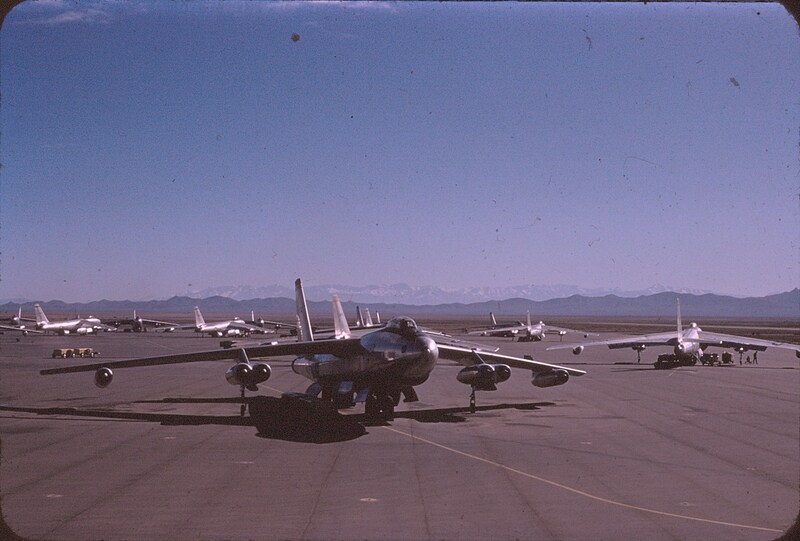 Recently came across a number of B-47 slides, including the XB-47. My uncle Capt. 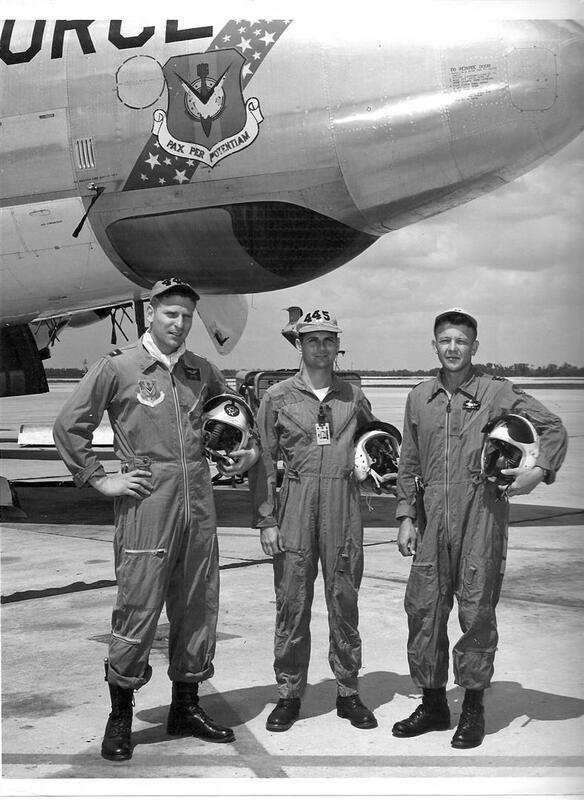 John B. Owen Jr. was a B-47 pilot based at Mt. Home AFB, Id in the mid to late 1950s, would like to hear from anyone who knew him. I was a crew chief on WB-47E’s in the 53 WRS (Hurricane Hunters) located at Ramey AFB, Puerto Rico, where we had 6 aircraft. 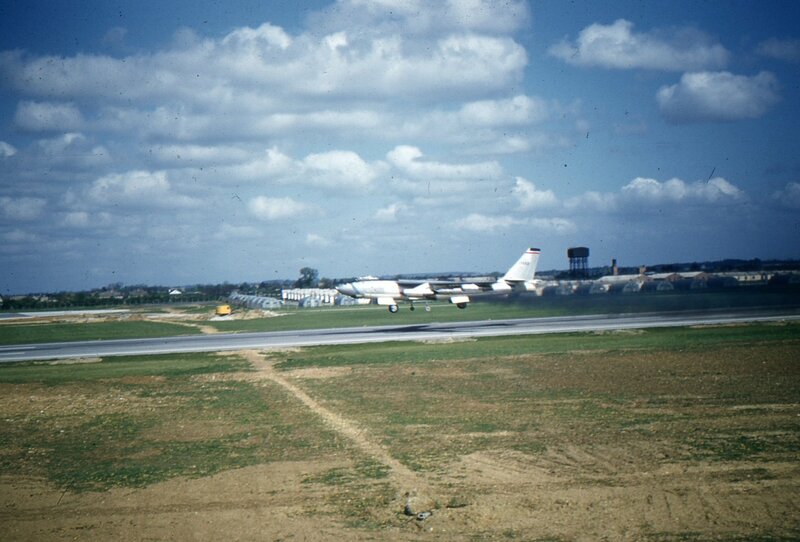 Unfortunately, I have seen very little information on this part of the B-47’s history! I was at Ramey in late 1968-1969. At that time, they found heavy corrosion in the tail section of these aircraft and flew them to the bone yard!